Home Cryptocurrency News Altcoin News: Litecoin, Monero, Ripple News Petro cryptocurrency. Opinion. Long read. 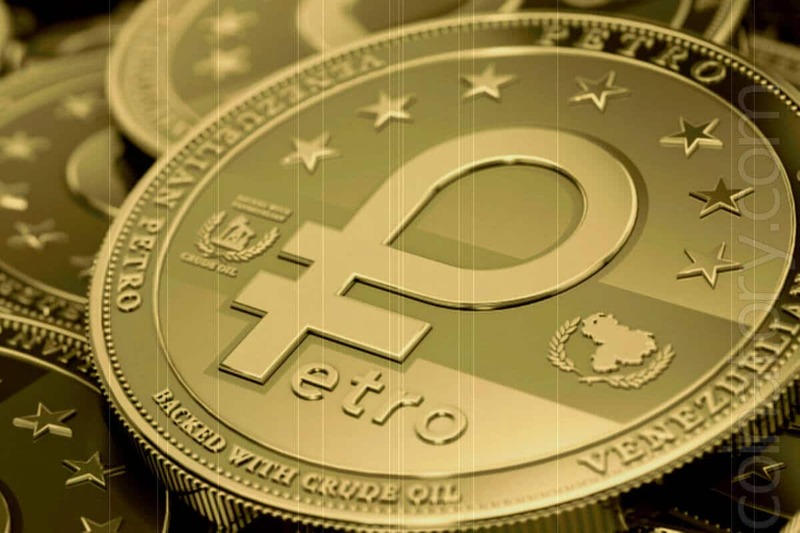 Petro cryptocurrency. Opinion. Long read. The Petro is the first cryptocurrency ever backed by a State, according to the official website. The first. Ever! And this is so controversial and groundbreaking that is totally worth knowing about. Venezuela is the country that had it’s currency lose 99,99% of value the past 6 years. Inflation is reaching unbelievable highs and the economy is in terrible condition. El Perto is supposed to fix economic problems. This cryptocurrency is supposed to be used as means of payment inside the country, for deals with the state petrol company PDVSA, to attract new forms of international financing and as the way to get around the US sanctions. It might seem strange to judge the book by its cover, but in the crypto world, this is like the official building, almost headquarters of the cryptocurrency project. I do understand that it’s clearly a typo but not in the second sentence of the main page. Anyway, I’ve seen thing worse than that. Let’s just keep in mind that primarily this website is made for Spanish-speaking population and I hope there are no typos in the Spanish version of the website. The second thing that worries me a bit is that the website is not using the secure connection, HTTPS protocol, so you’d better “not enter sensitive information on this site” as adviced by Google Chrome browser and me personally. Actually, the website is for informational purposes only, so secure connection isn’t really needed – there’s no place for you to enter any information anyway, even in the search form, that is absent, by the way. Well, there’s not much information that you will need to use the search for. On the other hand, the address of the website, containing .gob.ve means that it is the government-related website and you cannot just simply register such a website, so we are safe from getting scammed here by anyone except the government of Venezuela and governments, in general, are not famous for scamming people. By clicking here and there, we can find out that the “Blocks Explorer” link leads us to the website, returning the “connection refused” error. The website is down and the problem is definitely with the website itself. The same link at the Spanish version of the website leads back to the homepage. Let’s add here, that the English version of the whitepaper has only one page, with words “Petro whitepaper”. The very detailed whitepaper, isn’t it? It seems that the first idea to create Petro as Ethereum token was abandoned for good. This idea wasn’t great. At all. And there are few reasons for that: national cryptocurrency shouldn’t be dependent on some external blockchain, it has to have its own blockchain. If to consider the main purpose of this cryptocurrency to be the means of payment in daily life and will rely on Ethereum network, this will leave a lot of space for disasters, like hunger of hundreds of thousands of people caused by new CryptoKitties, for example. Using NEM wasn’t a great idea either. “Big boys” make their own blockchain. And it seems that Petro will have its own blockchain. With the hybrid Proof-of-Work and Proof-of-Stake verification algorithm based on the X11 algorithm. X11 is a great choice, as it is known to be the safest. Sounds like good news for miners! But 100% out of maximum to exist 100 000 000 coins are pre-mined what means, there’s nothing left to be distributed as the reward.